Every leader has to deliver the goods-make budget, meet deadlines, and deftly manage people-to provide the inspirational fuel that keeps their business running day-in and day-out. But therein lies the danger of winning today's battle and losing the war-that is the long game of creating sustainable value in a volatile, uncertain world that is becoming ever-more complex and ambiguous. 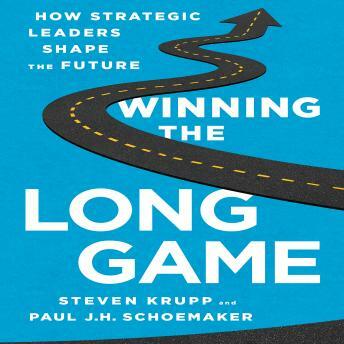 The number one business challenge-is winning the long game by being more strategic; developing the skills to look outside the four walls of the organization and see the world from the future back.